Ben’s mechanical knowledge comes from self-teaching, plus observation and guidance from mechanically-minded fellow scooter club members and friends. Ben operates from two locations. 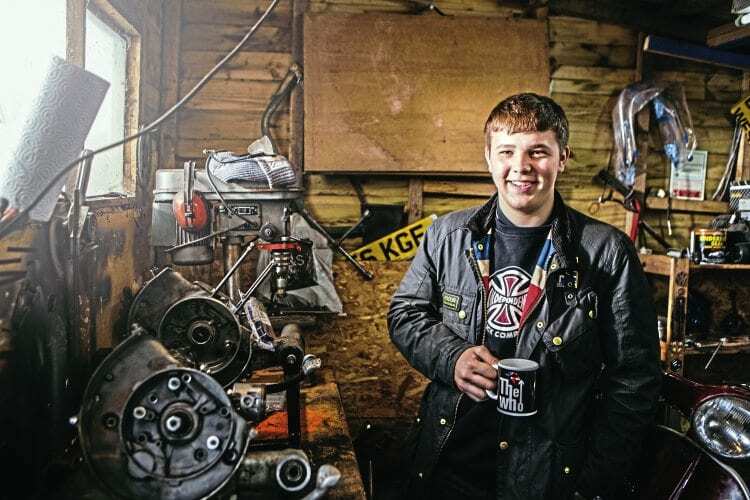 The garage at his late grandfather’s bungalow, where most of the body and build work is done and Ben’s shed at the bottom of his mum’s garden where most of the engineering work is done. 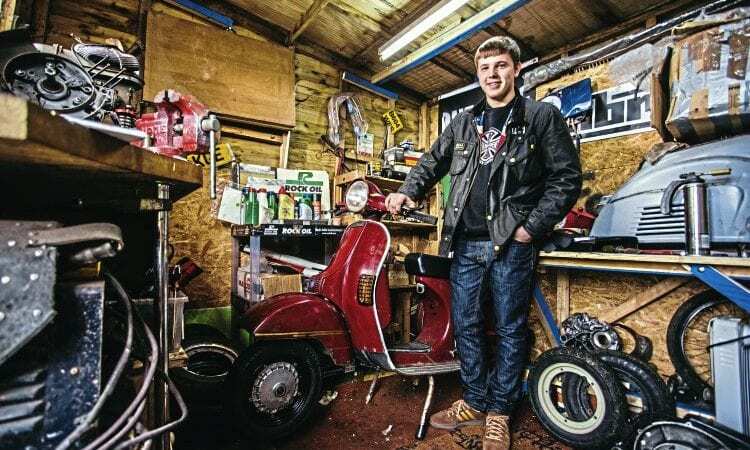 With the help of Scott Christie, Ben stripped the 50 Special down and gave it a full rebuild. The bodywork went off to Phil Stewart at Wizard Paint shop for an 80s blue metal flake paint job, while in the meantime Ben and Scott worked on the engine. As part of the engine rebuild process the lump was sent away for further work, but when it was returned and fitted it wouldn’t start. 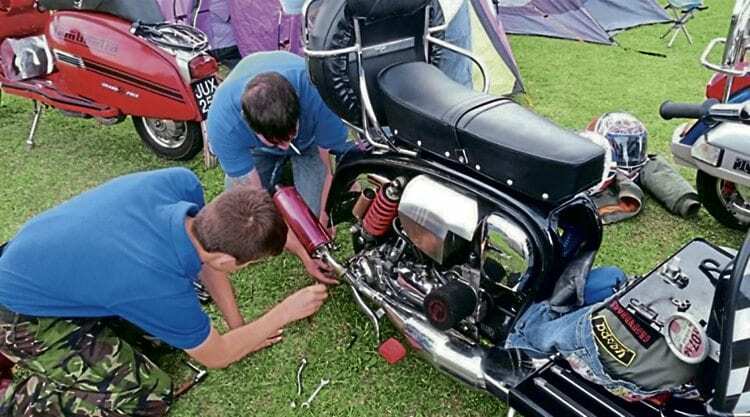 Ben, Scott and Steve tried to get the engine running but no-one could find the problem. 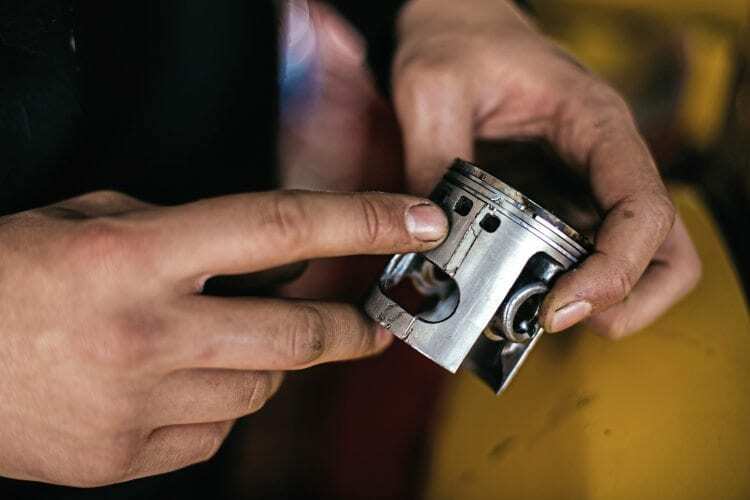 With all suggestions exhausted the engine was taken to Paul at Mo-Tech who finally identified what was wrong — the engine had been fitted with the wrong size piston! Happy as a pig in muck. 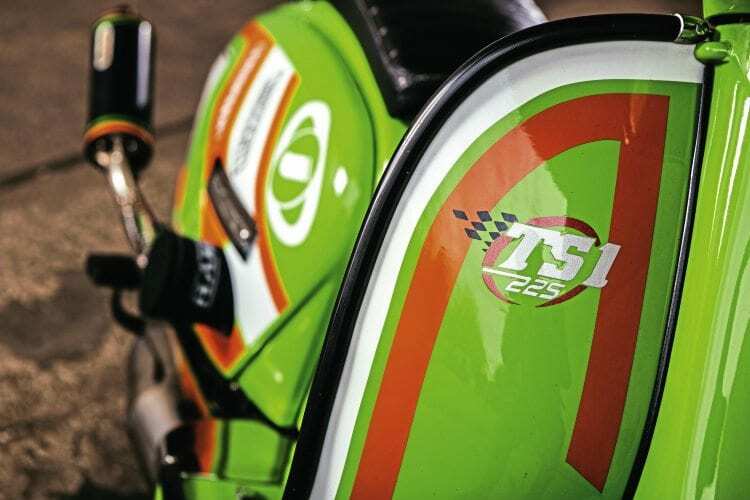 In 2014 on their way to the Cleethorpes Scooter Rally, Steve’s TS1 GP225 broke down near Grimsby. Steve said: “There had already been five breakdowns. We’d stopped with the rest of the lads and then we became breakdown number six! I went to start my scooter and the internal kick starter shaft sheared. 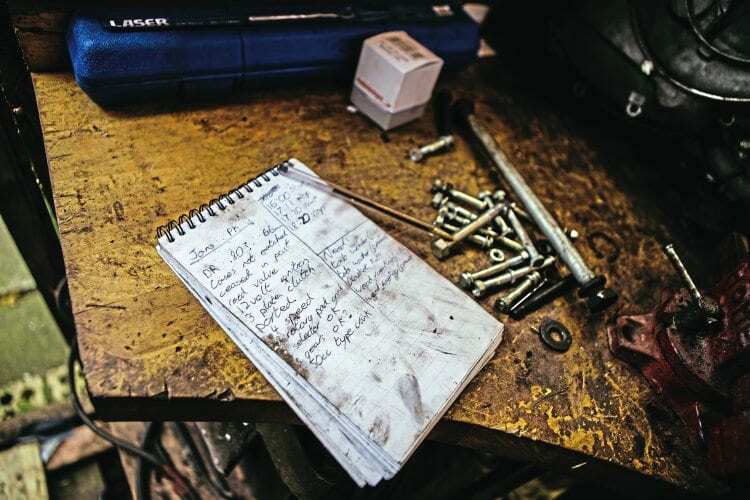 We made it to the rally site and got the problem fixed, and that’s where Ben started to learn the internal workings of a Lambretta. 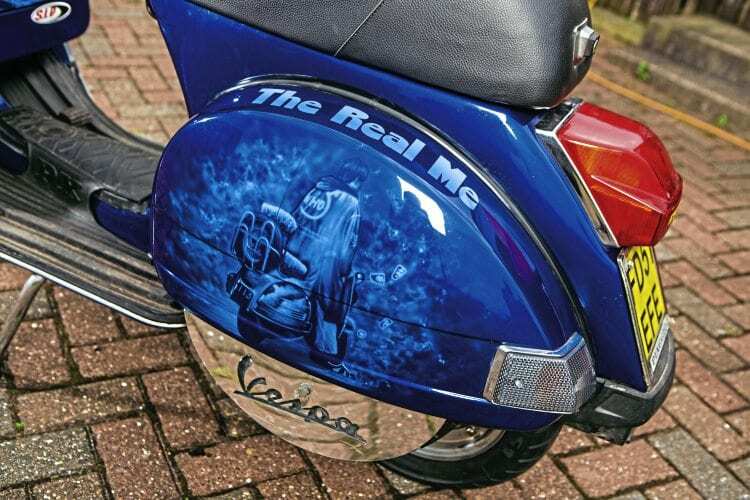 When we got home I decided I wanted the TS1 painting in its current Finspeed colour scheme and this also gave Ben the opportunity to do a full Lambretta rebuild.” With the support of Scott Christie, Ben got to work on the project, but during the rebuild they encountered difficulties with the electrics. At present Ben is working on two projects of his own. 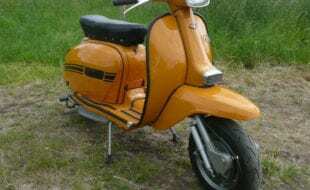 The first is a non-running yellow Vespa Mk.I P125X, which Ben hopes to have ready for when he turns 17. The other project is Ben’s pride and joy, a P200E Mk.l. 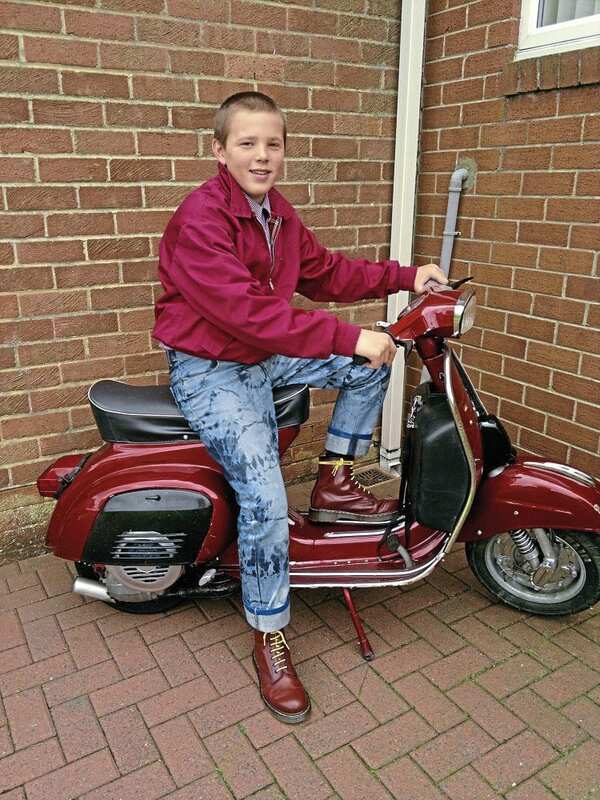 Steve said: “My first scooter was a Jet 200, which I bought back in 1981. 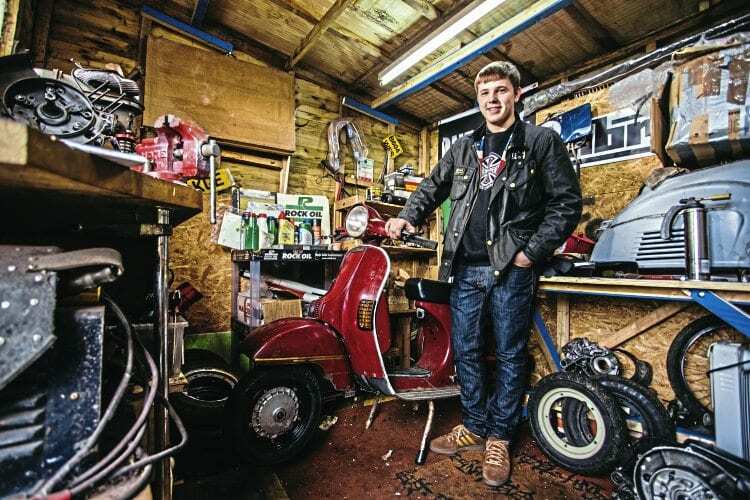 The scooter had all sorts of mechanical problems and I ended up selling it to Ian ‘Mad-Jack’ Creaghan. 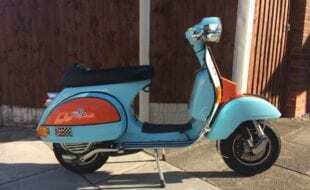 Ian ran the scooter for a while and then sold it to buy a brand new Vespa P200E Mk.I. Over the last 20 years I’d seen Ian half a dozen times and we recently got back in touch through social media. During a conversation I had with Ian I asked him on the off chance if he still had the Vespa, and to my amazement Ian still had the scooter. 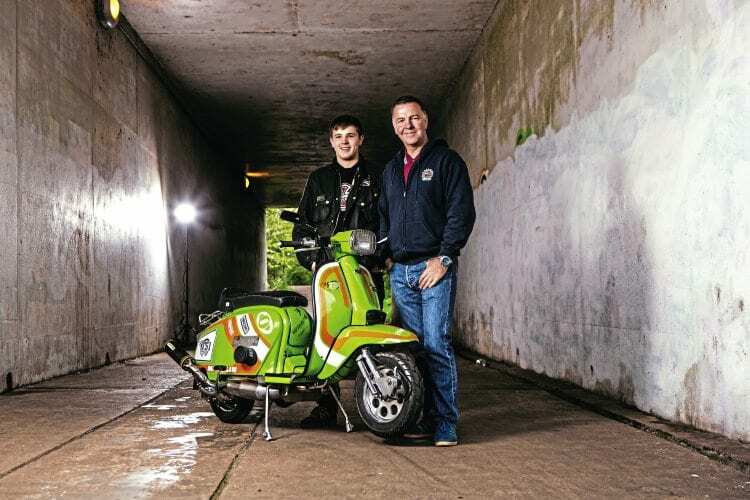 Last year Ben was approached by Kev McGuire who was organising the March of the Mods charity event, which took place in Hartlepool earlier this year. Kev explained to Ben that at the event he would be raffling an early LML and asked Ben if he could give it a full rebuild. Ben agreed, and in order to meet Kev’s request Ben fitted the LML rebuild around his school and study commitments, and put his other scooter projects to one side. 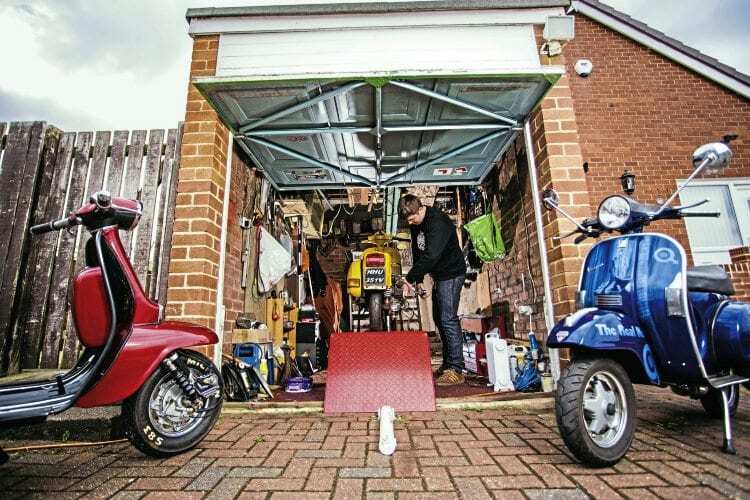 The result was that the scooter was made ready in time for Kev’s deadline and was successfully raffled off as the star prize. What’s going on in that shed? 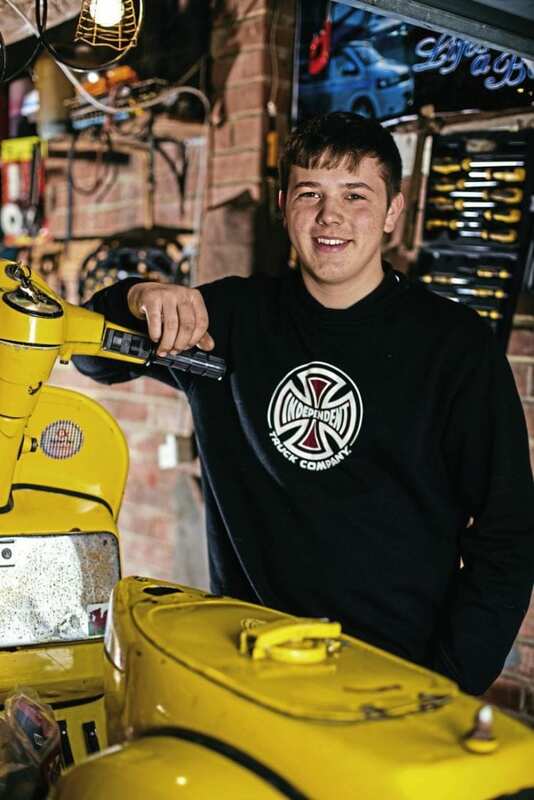 Ben has recently been successful in securing a place on a two-year motorcycle mechanics course at the New College Durham, and his long-term career objective is to secure an apprenticeship. Also, along with Barrie Soulsby, Ben re-formed the previously disbanded City of Durham SC, of which his dad was a founding member back in 1980. All in all, the future looks bright for this young lad. Job: Still at school, hoping for an apprenticeship. Scooter club & town: Durham Groundhogs SC/City of Durham SC. 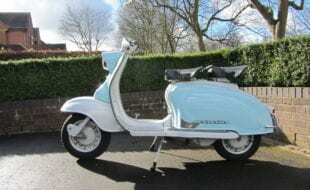 How and when did you first become interested in scooters: On hearing stories about my mam and dad’s past in the 80s. 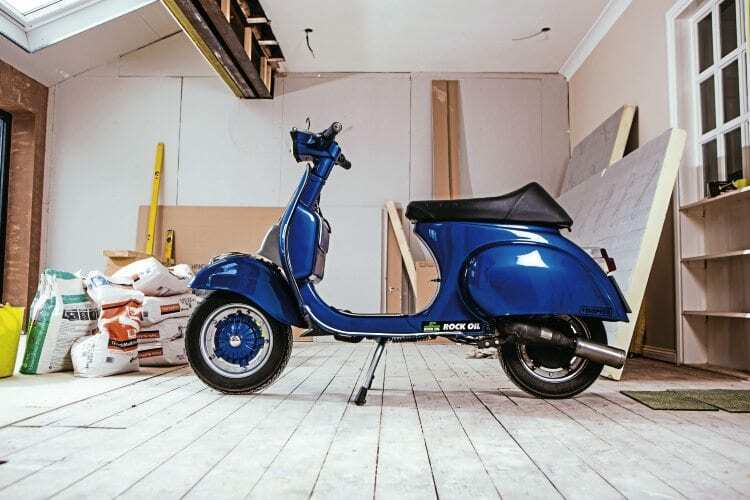 What was your first scooter: My dad bought me a PX125E (166 Malossi) when I was eight just to polish and sit on in the house. I helped changed the front mudguard (first job). 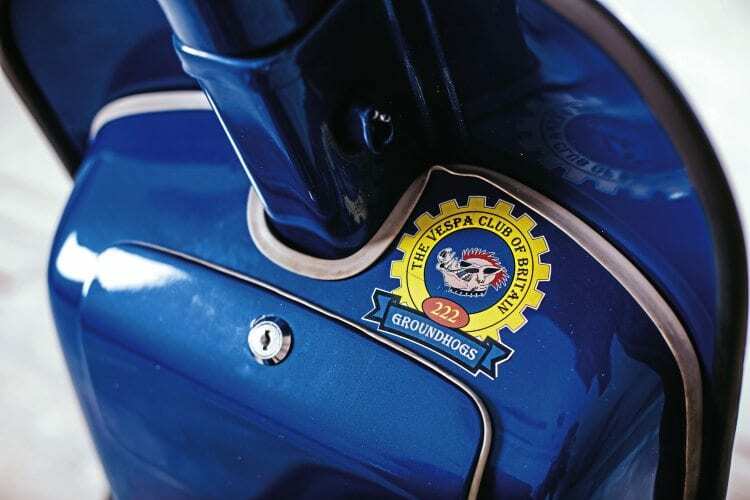 What is your favourite scooter model: Mk.I Vespa P200E. 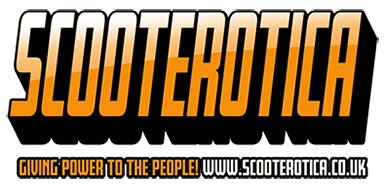 What is your favourite style of custom scooter: 80s style especially Armandos. First rally or event: Kelso (aged nine). Favourite and worst rally/event: Favourite – Cleethorpes, worst – Redcar (2014). Funniest experience with a scooter: Watching Steve Cato (Northumbria Scooters) fall out of his van twice and a caravan once and still claim Crocs are suitable footwear for rallies. 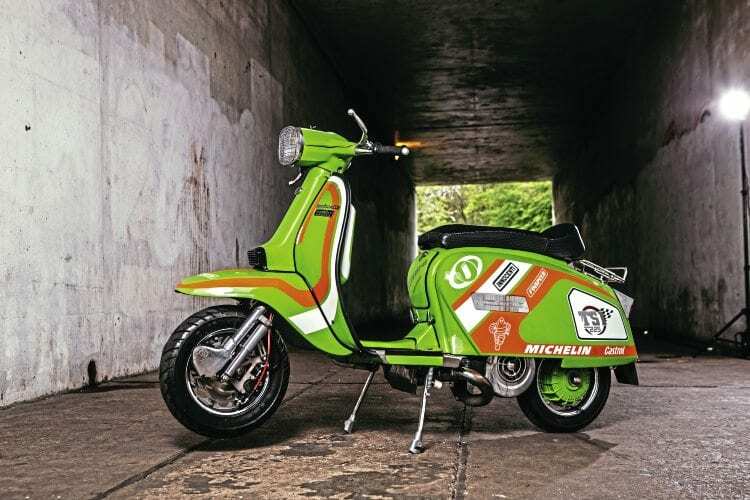 What’s the furthest you’ve ever ridden on a scooter: Holland but I do Isle of Wight every year as a pillion. 900+ miles in a long weekend. What do you like about rallies/events: Great craic with people, some who I’ve just met. What do you dislike about rallies/events: Now being 16 and having to pay to get in. 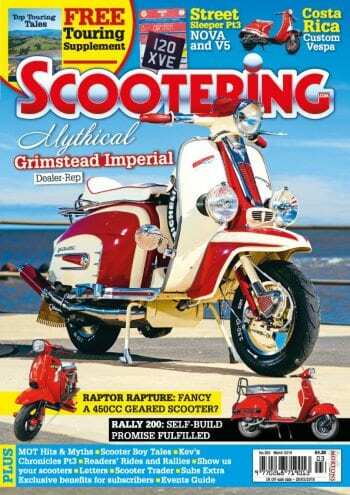 What’s your favourite Scootering magazine feature: Features on the 80s and 80s scooters. Your favourite custom/featured scooter of all time: Uprising. 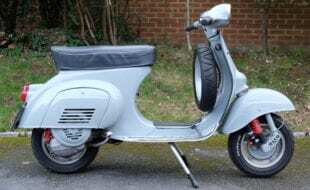 If you had to recommend one scooter part or item of riding kit what would it be: Just fitted a Malossi direct reed block Mk.II to a 136PK after a major engine failure. What a difference! What’s the most useless part you’ve ever bought for one of your scooters: Cosa clutch. 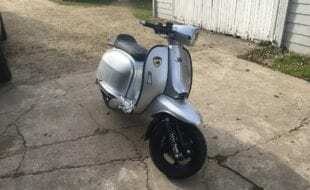 Scooter model: 1979 Vespa 50 Special. Date purchased & cost: April 2012 – £1000. 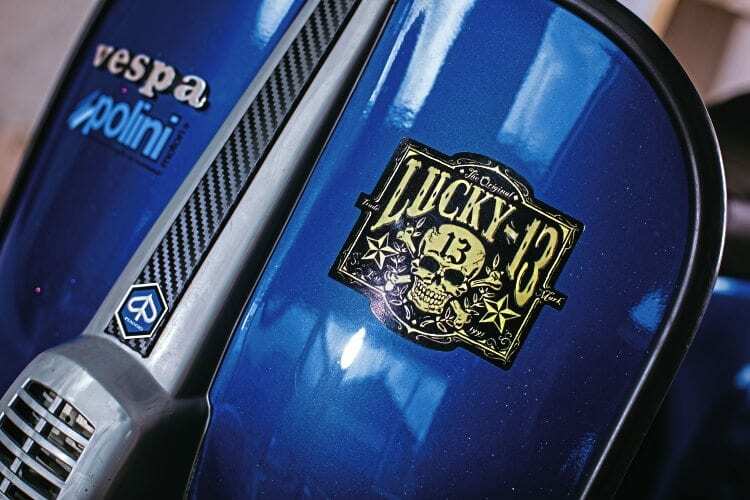 Inspiration for project: Restoration for when I turned 16. Time to build and by whom: Approximately three years by me and Scott Christie. Engine spec: Mk.II Malossi 136 kit. Crank: Mazzucchelli long cone race. Carb: 24mm direct reed valve. There are worse ways for a lad to spend his time. 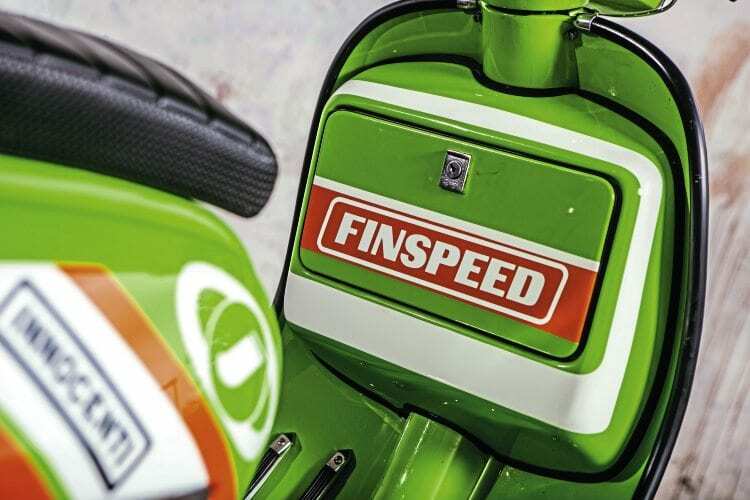 Describe engine performance, power delivery and scooter handling: Handles great, awesome powerband and great motor. 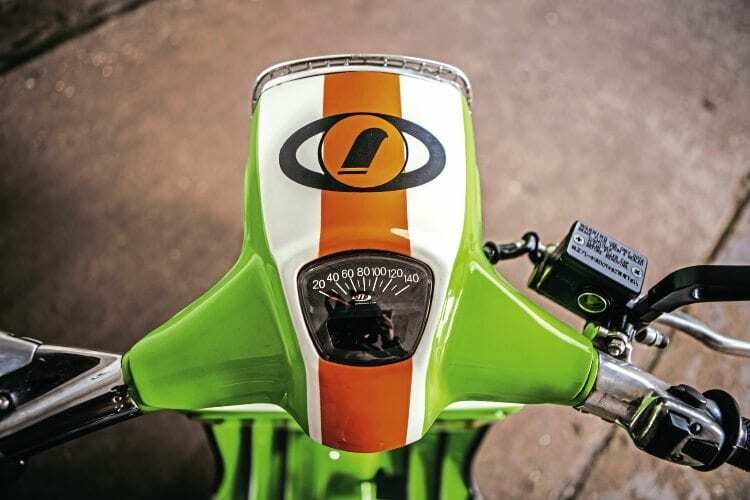 Top speed & cruising speed: Sits comfortably at 50-55mph. 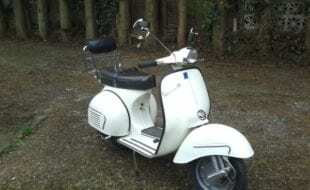 Is the scooter reliable: After some teething problems it’s now running well. 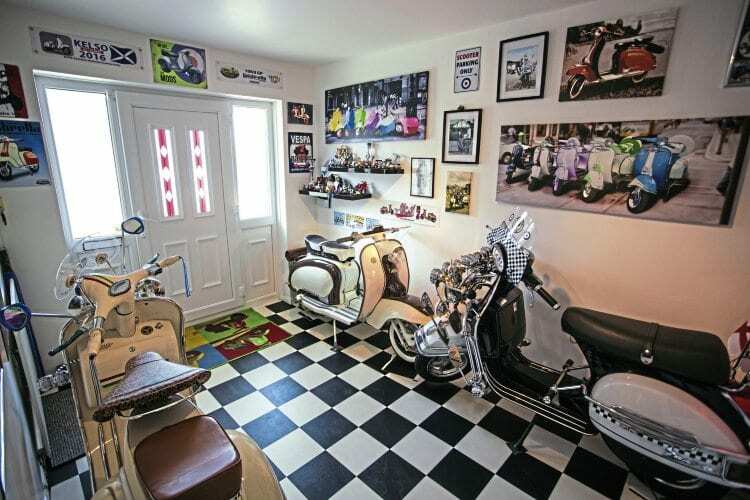 Paintwork & murals done by: Phil Steward at Wizard Paintshop, Bedlington. Overall cost: Far too much! Well over £2000. Is there anyone you wish to thank: Scott Christie, Northumbria Scooters, Scott Thompson, Bank of Dad.